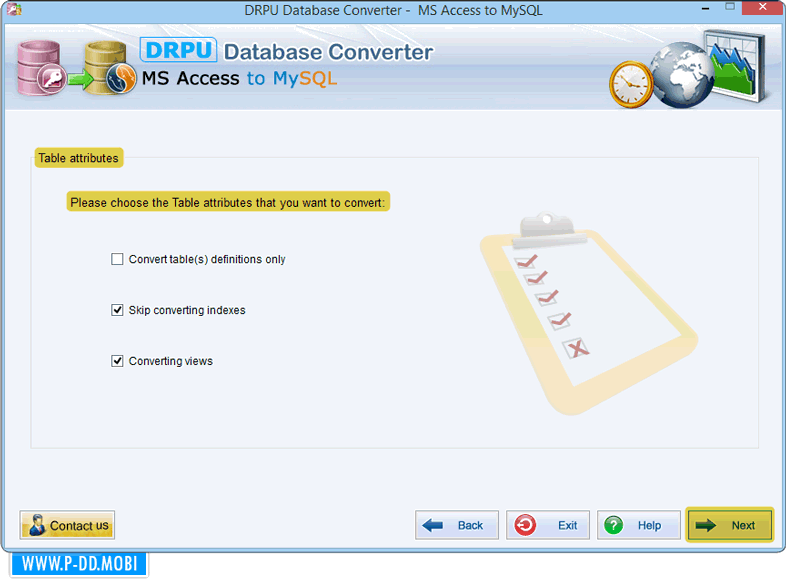 Using above Wizard choose table attributes that you want to convert. 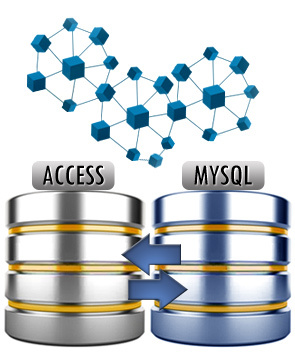 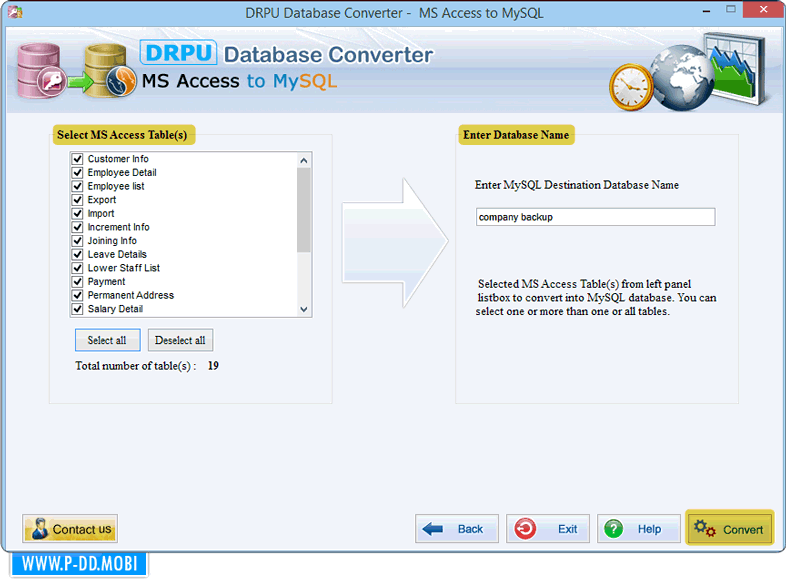 Select all MS Access table with MYSQL destination database name. 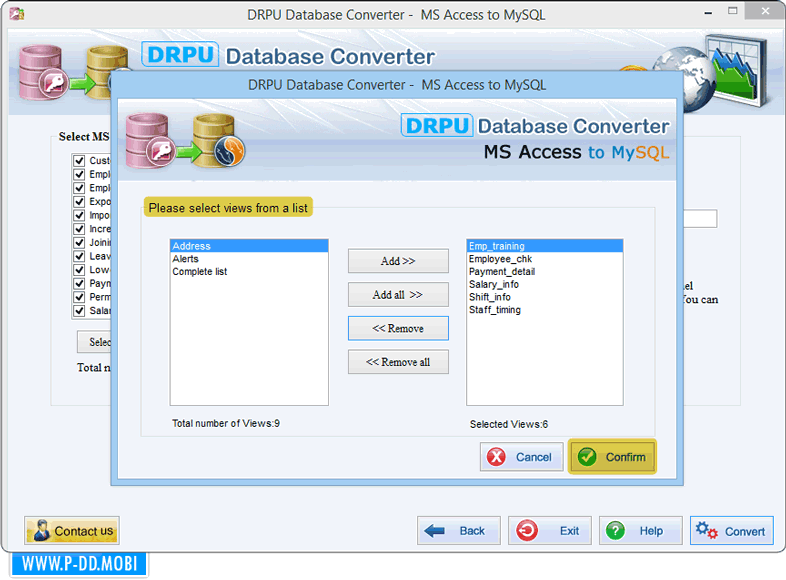 You can add views from left side list to convert. 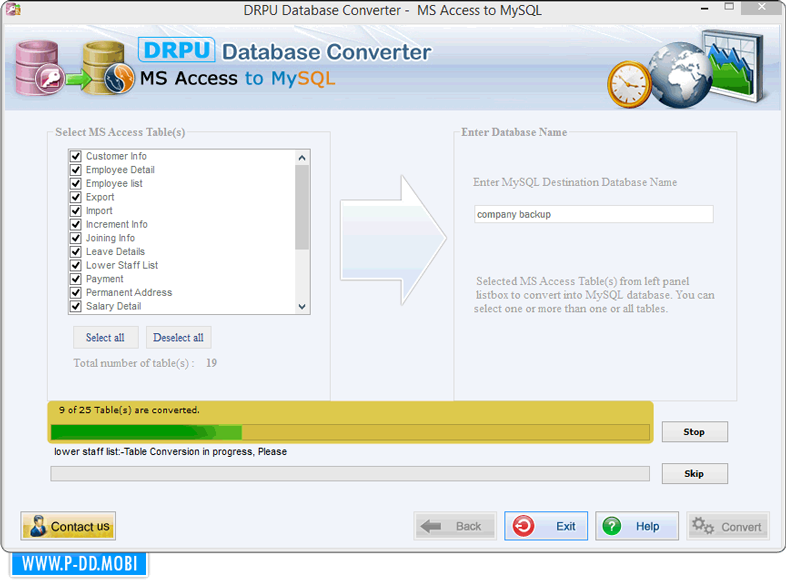 MS Access to My SQL database conversion is in process.